I came to office very early feeling stressed-out as I have to finish a lot of things before I leave the company (Post edit: I’m serving my notice period that time). I prepared a to-do list and looking forward to a busy and productive day. I will be joining my new company next week and I want to make sure that my handover is complete. First to give you a background, I always carry my passport. I have my reasons but I won’t explain it now. So anyways, three days ago, while we were in a hospital, I have a feeling that my daughter’s water bottle tilted inside my bag. I put my hand inside but didn’t feel anything so I just carried on. Today, while cleaning my bag, I noticed that my Kidzania vouchers are wet! I looked closely and breathed a sigh of relief when I found one ticket that still has a readable validity date on it. That should be fine. Next thing I pulled out was the police report (my BIL had an accident using my car), I again hyperventilated and prayed that it’s not damaged as I don’t want to go to the police station for a new copy. I cautiously unfold the paper and thanked God it didn’t disintegrate and I can still read the police’s notes. Then one by one I removed all wet receipts, business cards and whatnots from my bag. I thought the worst is over. But then I saw it, my passport!!! I immediately checked and my heart sank. Some of the texts are unreadable and my photo was severely damaged. My first thought is our trip to Italy. For sure, I can’t travel with this passport and after checking all my options I know that the only way is to apply for a new one. I left the office at lunchtime and went to our Philippine Consulate. They told me that it will take minimum of 5 weeks to replace it from Dubai. It won’t work as we are travelling in less than 3 weeks time. “Can I fly to Philippines and get it from there?” I asked. “Sure you can. May urgent doon, 7 days lang.” Manong said. “What?! ?”, I almost had a heart attack. They told me to check with airport immigration if I can leave the country with a damaged passport otherwise I will need to apply for a travel document. If this a dream, I hope to wake up soon! So after the consulate, I went straight to Terminal 3. I showed my passport to the immigration officer and asked if I can fly out. He just flipped the pages and said it’s ok. “Are you sure?”, I asked. “Yes you can travel”, he repeated. I feel like recording his statement but I don’t want to agitate him and I would rather believe what he said. As soon as I reached the office, I immediately purchased plane tickets for me and my daughter. There’s no way I can travel without Biel. Last time I left her, she was crying non-stop and everyone had sleepless nights. I also called my new boss and explained that although we had agreed that I am joining next week, I won’t be able to as I need to go to Philippines to get a new passport. You can imagine the guilt, embarrassment and regret that I am feeling. All the hassle I’ve been through and the money wasted for a stupid mistake. All my plans were thrown out of the window. But that afternoon, while ranting to a friend, she told me how amazed she is on how fast I thought of a solution and be able to finalize everything in less than a day. She said that if it happened to her, she will cry first and wallow in misery. My sister also reminded me of the conversation we had few weeks ago. I told her that, if I have choice, I want to rest first for a few weeks before joining the new company. I realized that I also keep on saying this to my friends. Ahhh, the Universe had heard what I’m saying and granted my wish. We should really be careful what we wish for. So now, everything is set for my flight. I just need to pack my stuff. I am trying to remove all negative thoughts and psyching myself that this is happening for a reason. I may not understand it now but for sure I will learn something from this. I woke up this morning with a headache but I thanked God and prayed for a productive and beautiful day. Ok, to continue my story, when I handed my passport to the immigration officer in Dubai, he joked why I put my passport inside the washing machine. I laughed nervously and told him that the reason I’m going back to Philippines was to replace my passport. I said nothing else and prayed to all angels and saints that he would let me out. And he finally put that exit stamp. Phew! I went to DFA in Aseana Business Park the following day. Obviously, I don’t have an appointment but they have a counter for people like me who just showed up. I’m with fellow OFWs, senior citizens and relatives of government officials. I learned something from this process and that is always get an appointment. The special counter seems to be exclusive but it’s not. The queue is longer and I don’t feel the exclusivity at all. Only avail this if there’s no other option. Anyways, so after a few hours, my number was called and the lady who assessed my application said that passports will only be released after 14 working days. Wait, what? 14 freaking days??? WHY? “Our system is down and we have a big backlog. Sorry, I can’t do anything”. I feel like crying. I pleaded and said that I flew all the way from Dubai just to get a new passport and DFA website says that an express service only takes 7 days. I can pay extra if required. I am starting to lose my patience. She probably didn’t want to see a crazy ranting lady so she just took my application and said that I will need to speak to her manager for approval. While waiting, I met several OFWs who were also requesting for urgent passport processing for different reasons. Some of them were approved, others weren’t. I am so nervous. When it was my turn, I again explained my situation to the manager – that I flew from Dubai with my daughter just to replace my passport. I told him that I have a scheduled trip to Rome and it cannot be cancelled. He asked for my flight ticket to Italy and my return flight to Dubai. I showed him everything. I felt like explaining more but then decided to keep my mouth shut. I almost kissed him when he granted my request but warned that I shouldn’t damaged my passport again as it’s punishable by law. I promised him that I’ll take care of my passport as if it’s my child. I learned my lesson. After getting my passport, I applied for an OEC online and just paid for it in one of the Bayad Centers. On my return to Dubai, I went to Italian consulate in Trade Centre to ask if I will need to re-apply for a visa. The Schengen visa was intact but it was stamped on my damaged passport and now that I have a new passport, I wonder how it will work. It was a relief when they said it’s not an issue and I just have to bring both passports. All’s well that ends well. 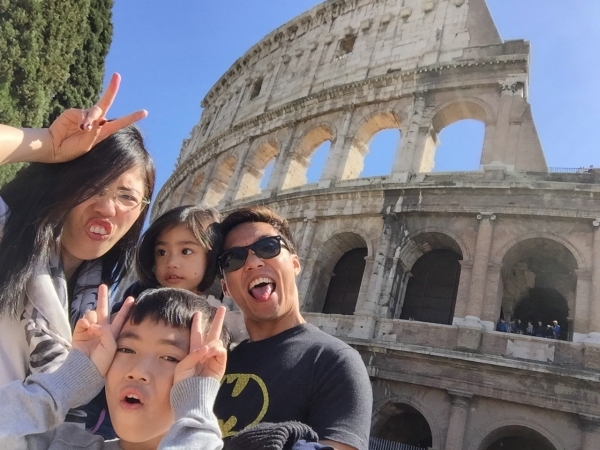 Our first ever Euro trip was a blast! You can read more from here. Moral lesson of the story: Secure your passports. If you intend to carry it with you, placed it inside a clear, resealable, and wet-proof plastic bag. My husband bought a safe and insists I keep it there. I think he checks my passport from time to time if it’s inside the safe. Well, he doesn’t need to. After what happened, I have no intention at all to carry it unless we’re flying. Never. This entry was posted in Musings, OFW and tagged Damaged Passport, filipina expat, filipino expat, ofw, Pinoy Blogger, Pinoy in Dubai. Hi. Same thing happened to me my passport got wet inside the bag (water bottle was not sealed properly) 🙁 I’m a tourist here in Abu Dhabi (entry/exit flight is via Dubai). I was advised by the Philippine Embassy to get a Travel Document (120aed) which I did. But they said if I use that document I will be banned to travel to UAE for a year or so plus I need to secure an exit pass from Dubai Immigration (300aed or so they said). I’m still torn if I will secure the exit pass or not. I had my passport checked by the Foreign Affairs here in Abu Dhabi, they said it was still okay to use as long as I have the Entry Visa with me but they don’t have the machine to validate it. I hope the immigration officer will be nice as well should I have decided not to secure the exit pass anymore. Oh no Grace! That’s sad. I suggest visiting the immigration (DNRD office in the airport) before flying back to Philippines and check if it’s ok to exit with your damaged passport. They might say it’s ok. All the best and please keep us posted. I know several readers will be interested to know how it went. .my passport got wet recently in bali but i was still able to pass thru the automated clearance system of SG. Picture is quite faded but details are still intact. I have a scheduled flight to philippines for a 9 days vacation on 29th of april. Will i be having a problem entering philippines and returning back to singapore? Hi Paola, as explained to me by the officers in Philippine Consulate here in Dubai, as a Filipino you will have no issue entering the Philippines even with tattered passport. Although I won’t be able to answer your question about returning back to Singapore. If you are passing thru the automated clearance system then it might work again. I suggest as soon as you have the chance, renew your passport to avoid this kind of doubts. All the best! Hi Shane, I’m not sure kung gaano ka-damage ang passport ng mama mo pero I suggest na bumisita sya sa Philippine Consulate. Kapag feeling ng consulate na hindi sya pwede makalabas ng bansa using her passport then they will issue travel document for her. I suggest na punta na sya dun as soon as possible para may time na ma-process kung anuman ang kelangan nya. Don’t worry, should be fine! Hi, I just encountered the same situation and wanna ask how many days did it take to process your new passport? Hi Kaye, I went to DFA on March 16 (Monday) and received my new passport on March 24 (Tuesday). Hi! Same situation, sakin naman nabasa ng adobo ung passport ko at magbabakadyon nako this june 22 so kelangan ko na ilaban to. 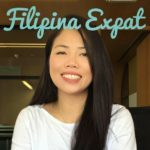 Pero nagtanong na din ako sa philippine embassy at ang sabi nila eh wala naman daw problema sakanila ung passport ko since ung babang part lang naapektuhan. But what I’m really worrying about is kung makabalik pa kaya ako ng kuwait with this kind of passport. I do really need an advice. I can send my sample pic para matignan nyo po. Hi Jonathan, I just replied dun sa question mo sa other blog ko. I suggest punta ka sa Kuwait immigration and just showed them your passport. Ganun kze ginawa ko and sabi ng UAE immigration, wala daw issue. Nung lumabas ako ng Dubai, sabi lang ng immigration officer kung nilabhan ko daw yung passport ko, ngumiti lang ako pero nakalabas naman. Of course I used my new passport na pagbalik ko. Do you have time to get a new passport sa Manila? Well I only got 25 days in ph. Kung 10 working days lang ang pagkuha ng new passport then it’s better for me to renew it in the Philippines. Thanks po pala sa reply! Hi, I’m still in cavite pero will be travelling in europe in 2 weeks, and with mine it got wet by my cologne sa bag ko. Hindi ko sya agad napansin. Everything are still intact pero may konting stain na sa personal information. Nababasa pa lahat at okay padin picture ko. I would like to get it replaced as well pero i don’t know what to do cause i only have 2 weeks or 10 working days :(. Yah, hindi mo na nga sya ma-replace in 10 days, wala ng chance. Kung visible naman lahat at nababasa pa then I guess it should be fine. Sa ‘kin kze is nawala na yung half ng face ko so sure na hindi tanggapin. Hope you can update us for the information of other readers. Hello, the fact na na-hold ka sa Singapore because of teared passport then maybe it’s about time na palitan mo na nga sya. I have read your message too late na ata and you might have applied na. If you can share an update for other readers. Thanks! Hello Miss diane. Tanong ko lang po kasi tatravel ako nextweek sa Singapore tsaka yung passport ko my blood stain sa first page at yung edge ng info page is meron konting tiklop.. peru over all po klarung klaru pa yung info page, mababasa pa yun nga lang ko my kunying tiklop. Hindi na rin po ako makapag appoinmemt sa dfa kasi wala ng slot sa appointment…. hello ms diane. 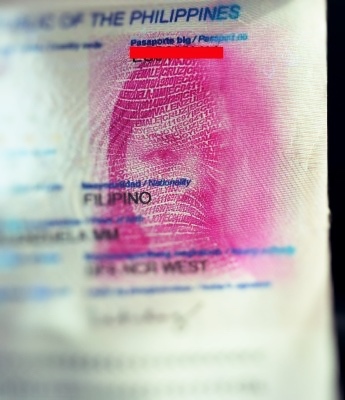 wrinkled passport ok lang po ba? When you applied for the passport, was it like applying for a new one? Because I’m trying to call the embassy (no answer) and their website doesn’t work so I’m not sure if I should apply for a renewal or if it’s a different procedure for damaged passports. Also does it mean even if originally the expiry date for my passport is 2020, will this continue or will my name date of issue by 2018? Last- in the renewal form they ask for Affidavit of Explanation (if damaged). Did you have to do this? I’m not exactly sure how long does it take to renew our passport nowadays (it may still be 2 months from date of application, plus you have to consider the time it requires to get an appointment). Getting a new one from any Philippine Consulate would probably take more than 2 months but better to visit them personally as soon as you can. I flew to DFA Manila to get a new passport (yes, it’s with a new validity date) because I only have 3 weeks before my travel and they are the only one that has ‘urgent’ processing which is 7 days. I can’t recall bringing any other document except the original damaged passport. Hope you can sort it out. Hi Ly, Ung sa akin kasi nabasa siya ng cola. Considered ba siyang mutilated if may stain? Ung stains niya is sa edge of each page ng passport, I’m planning to visit the dfa in Abu Dhabi. Sad kasi, kakarenew ko lang sha and last night was nabasa ung passport ko kasi yung coke was untightly open sya. And btw, I have a scheduled trip to Georgia this coming Feb 24 till 27, would you think papayagan ako ng embassy na bibigyan ako ng Travel Document?